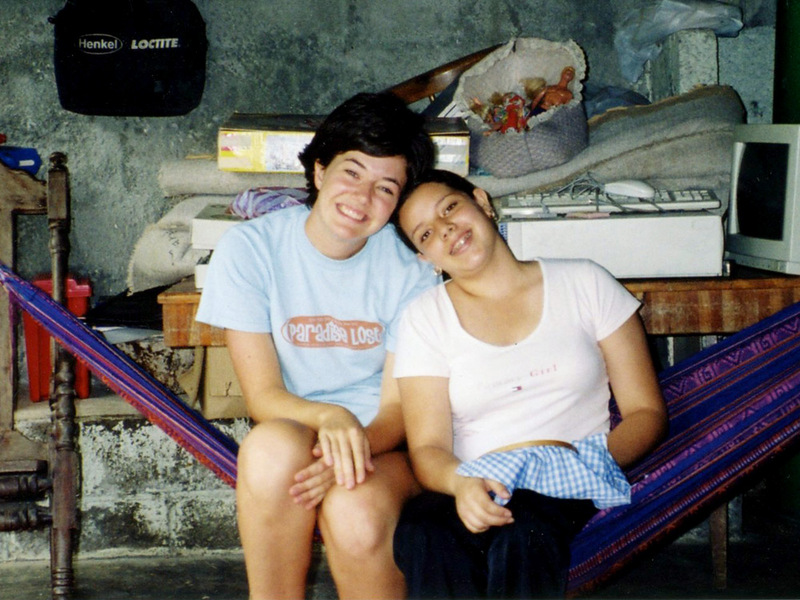 Amanda Newton Kisselle ’04 studied abroad in Costa Rica as an Austin College student, she lived with a family there that truly became family to her. She has visited many times since her first summer there for an intensive language program. 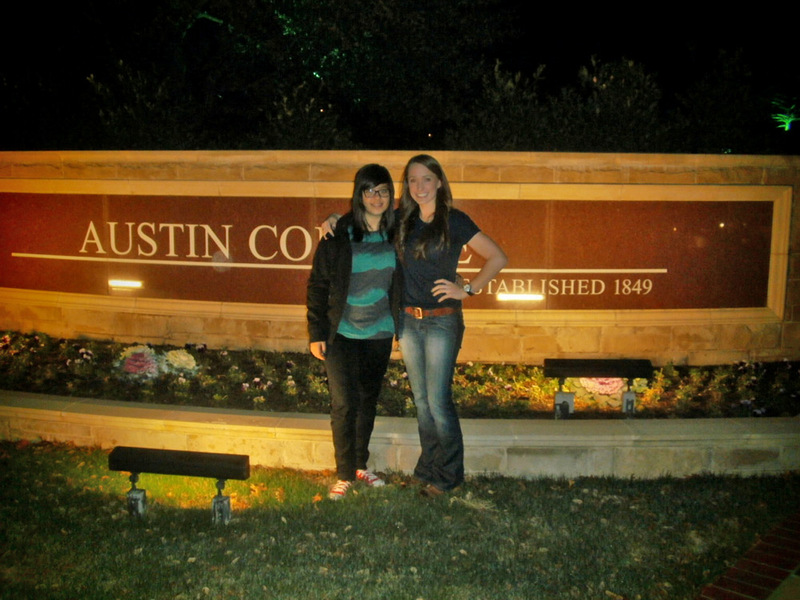 Today, Amanda is a director of admission for Austin College. 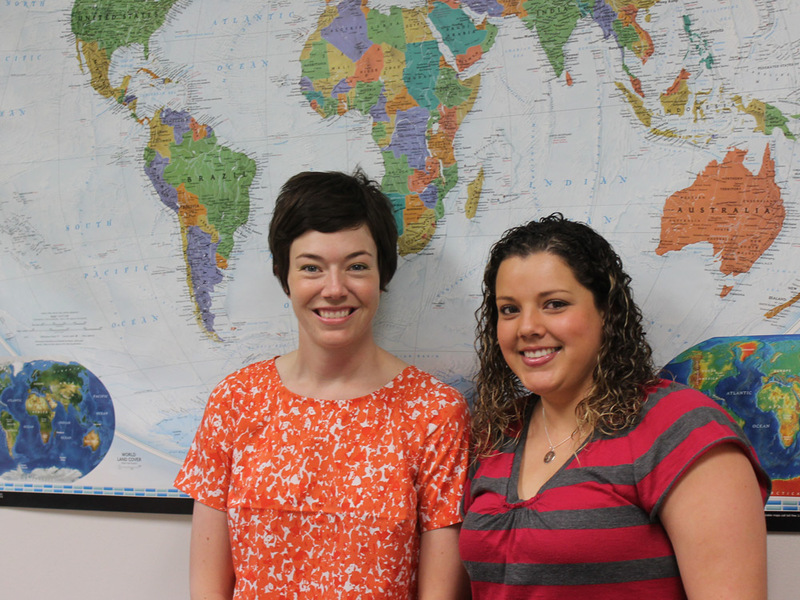 Her Costa Rica story gained another chapter in fall 2011 as her Costa Rican “sister” Melissa Guzman came to Austin College to serve as the native speaker in Spanish for Jordan Family Language House. Read their stories. 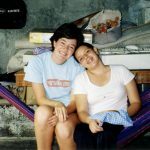 When I arrived in Costa Rica for the first time in the summer of 2003, I planned to stay for four weeks, attend some classes, and earn the Spanish credit that I needed to graduate. I had no idea that I would discover a second language, home, and family. I first met Melissa when she and her dad picked me up from the airport. I was assigned to live with their family for the next month, and I realized on the car ride back to their house that my speaking and comprehension skills were worse than I thought. Luckily, Melissa was learning English in school, so between the two of us, we managed to communicate on a fairly rudimentary level. At the end of the month, I was starting to get the hang of things, so I stayed another month, and over the course of the summer, I developed a relationship with my host family that I wanted desperately to maintain. My love of Spanish grew out of my desire to keep up at the dinner table and engage this family in deeper conversation. I returned to Costa Rica the following January to help prepare for and attend Melissa’s quince años celebration. We made hundreds of empanadas, decorated the banquet hall, and had our makeup done; I felt so fortunate to be present on such an important day in her life. 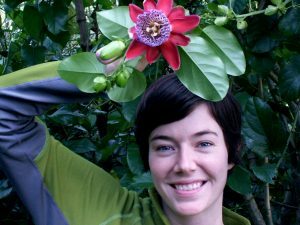 After graduation, I bought a one-way ticket to Costa Rica and stayed for a year. I took part in dozens of family outings and truly felt like I belonged. I tearfully returned to Texas in 2005, but I have been back to visit several times. 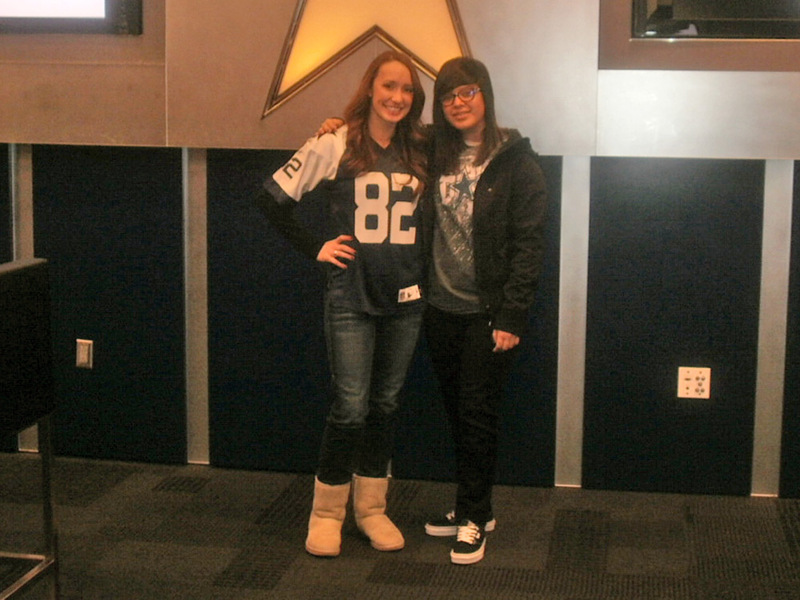 When the opportunity arose for Melissa to spend a year here with me in Sherman, I knew we had to make it happen. She and her family have done more for me than they will ever know, and this was my chance to pay a fraction of it back. It took a few weeks for me to adjust to seeing her around the Austin College campus, but it has been an absolute joy to have her here. We’ve had an action packed year full of cooking, shopping, camping, gardening, going to sporting events and concerts, and a dozen other things. Her family members made their first trip to the U.S. over the holidays, and we traveled to the Grand Canyon and Disney World. I always dreamed that they could visit me in Texas someday, but never in my wildest imagination did I think that we’d be riding Space Mountain together! I will miss Melissa when she goes back to Costa Rica in May, but I will cherish the time that we had together this year and know that she will always be my sister. 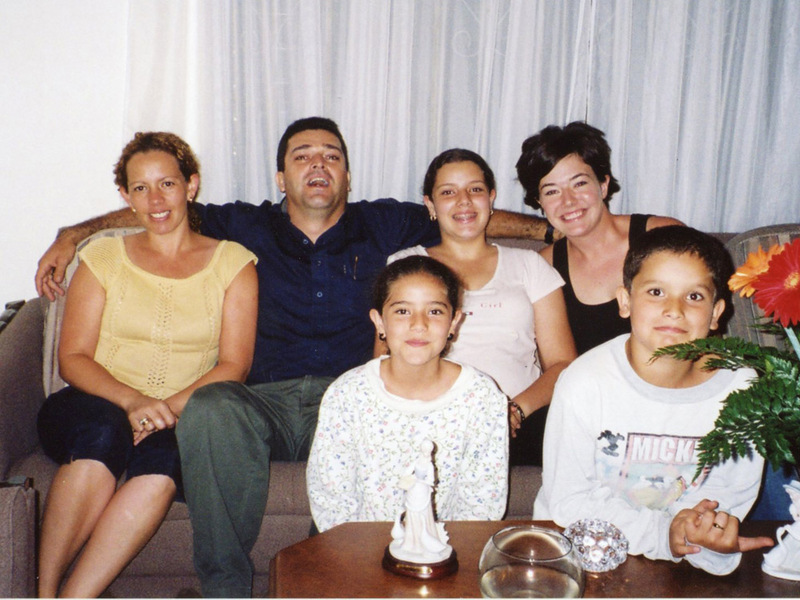 Once upon a time, a young girl, Melissa, and her family received an exchange student. 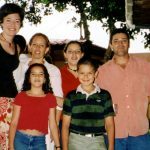 One day in 2003, this family received a phone call from a program telling them that a new student called Amanda Newton, from the United States, would arrived in Costa Rica soon, and that she will live with them. 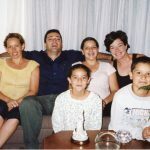 The day for the family to go to the airport came. Melissa wanted to go with her dad and pick up the new student, but the hours passed and nobody came. Nobody called Amanda Newton arrived, so they went back home and later that day, the family received a phone call from the program saying that the student missed her flight and that she would take the next flight to Costa Rica, which was at night. So at night, the girl went with her dad again to the airport and waited for the new student. A tall lady came to the girl and her dad and told them she was Amanda Newton. On their way back home, the girl and her dad asked a lot of questions they were used to asking new students, for example, where are you from? Do you have siblings? Do you have a pet? And so on. Days passed and Melissa enjoyed hanging out with Amanda, talking to her, and helping her with her homework, so that she could also practice the few English words she knew. Amanda was really funny, full of energy, and always ready for new cultural experiences. For example, Amanda was always ready to go with her new family to all of their parties to enjoy dancing and eating with new people that she would probably never see again. These two young ladies started a nice friendship; they went together to concerts and many other activities in order to have fun and enjoy their time. However, Amanda had to go back to her country, which was really sad not just for Melissa but also for her family. A few months passed, and the family received great news: Amanda was going to visit them again. 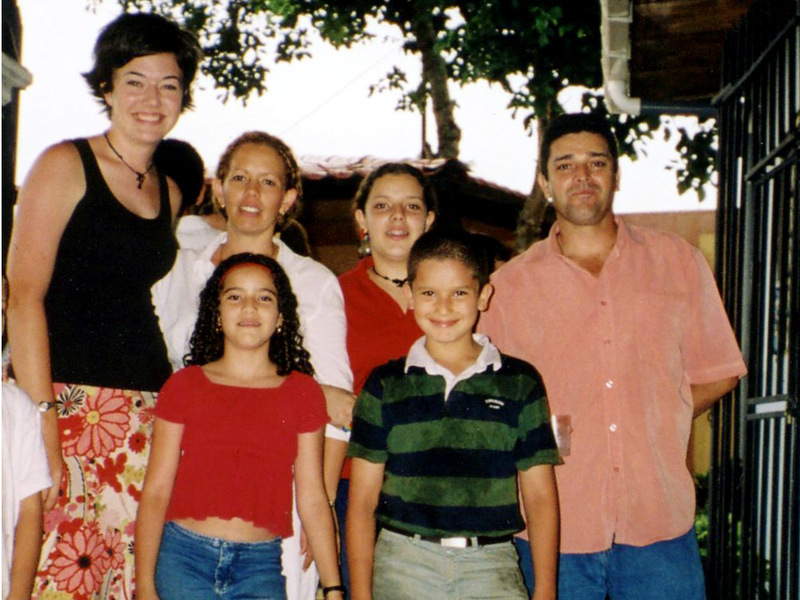 The second time she went to Costa Rica, the family was going to have a big party. They were celebrating Melissa’s “Quinceaños” and, of course, they invited Amanda since they were really close. Amanda and the girl had fun those days getting ready for the party. They went shopping because Amanda needed a nice and fancy dress for the celebration. It was a big party since the girl’s family is so big. There were more than 150 people invited to the celebration, so the family had a lot of work to do, like cooking for all those guests. Amanda, of course, helped the family cook and prepare. Amanda went to Costa Rica one more time, but now she wanted to stay there, to live and work in Costa Rica. She wanted to improve her Spanish or maybe she just was in love with the country, people, and their culture. Amanda lived in Costa Rica for a year, but after some time she decided to go back to the United States. The girl and her family didn’t hear from Amanda for a while, but one day they received a phone call from Amanda. She was going to visit them during Christmas but this time she wasn’t alone—she was traveling with her husband, Keith. The family was happy to see her again and welcome a new member of the family. Melissa now was studying English in college, and she was looking for a scholarship to study abroad in an English-speaking country in order to improve her language skills. When Amanda asked her what was she studying or doing at the time she told her, and also said she was interested in studying abroad. Amanda told the girl that in the college where she worked, they have a program where they need native speakers from different languages and that she will ask the professors about this program and the requirements, so maybe Melissa could go and work at her same college and have the same experience she had. After a few months, Melissa received a phone call from Amanda. She told her about the program and the scholarship, and they spoke about every detail. Amanda gave her the email address for the professor in charge of the program the next year so they could communicate and settle everything. 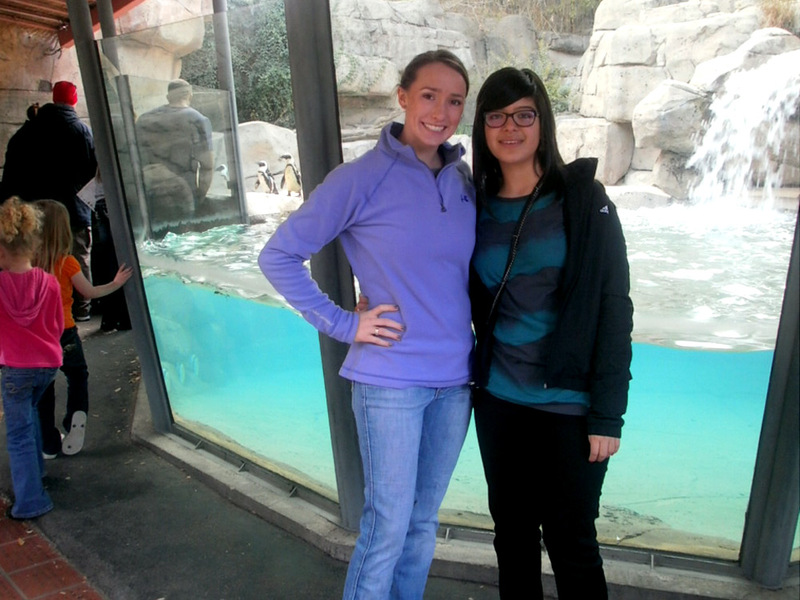 Melissa was so happy that finally, and thanks to Amanda, she would accomplish her goal of studying abroad and improving her English. 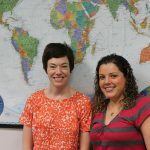 They kept in contact to prepare for the trip, making sure every single detail was taken care of; it was just incredible that the girl would go and visit Amanda in her country, in the same town, and work at the same college. Time flew and before they knew it, it was almost time to see each other again. On August 20, Melissa had to leave her country and start a new experience, a trip full of adventures, new people to know, new places to go and visit, a new life. 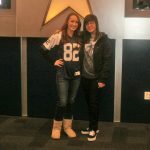 And here I am, happy and thankful for all the people that made my dream come true, especially Amanda. 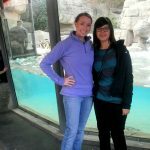 Here I am enjoying my adventure, improving my English, and of course appreciating the time that I have with my older American sister, Amanda. 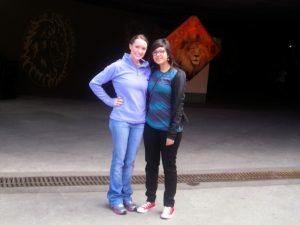 Samantha Sands ’11 traveled to Heredia, Costa Rica, during JanTerm 2011 where she lived with a host family—and also gained a little sister, Ximena. Her Costa Rican little sister Ximena, now 15, also wanted to experience the benefits of study abroad and visited Samantha in Texas during January and February. Ximena attends Castella arts high school, where she studies art and theatre. She also studies English and came to visit with hope to become fluent. 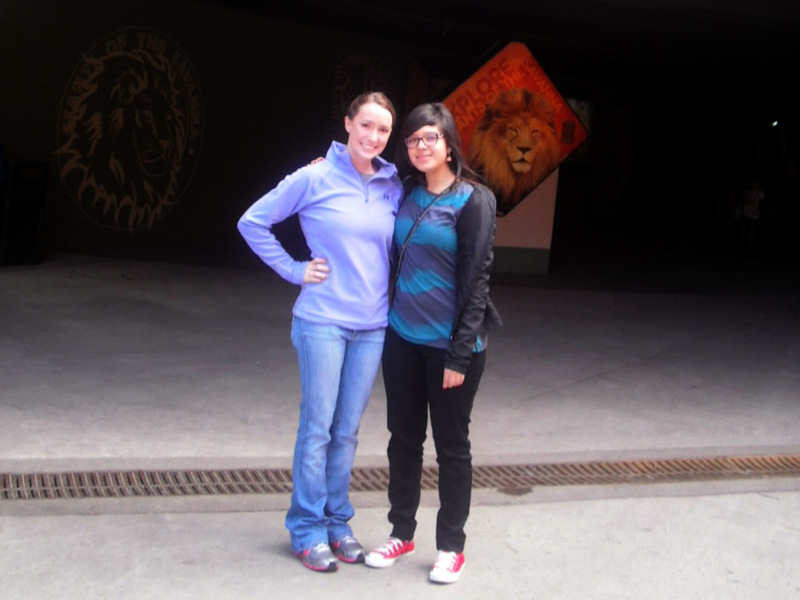 Samantha studied in Brazil, Uruguay, and Argentina during another January Term and completed a study abroad semester in New Zealand. 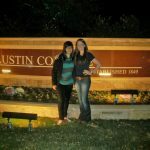 In May, Samantha will move to Austin to begin the master’s degree program in science and nursing at University of Texas. She plans to become a pediatric nurse practitioner. Since graduating with majors in business administration and biology, she has lived worked in orthopedic surgeon’s office in Plano.